Let's suppose that for some reason you need to install a graphical user interface on Linux running Ubuntu Server that you want to connect to using Remote Desktop from a Windows machine. Here is how to do that. 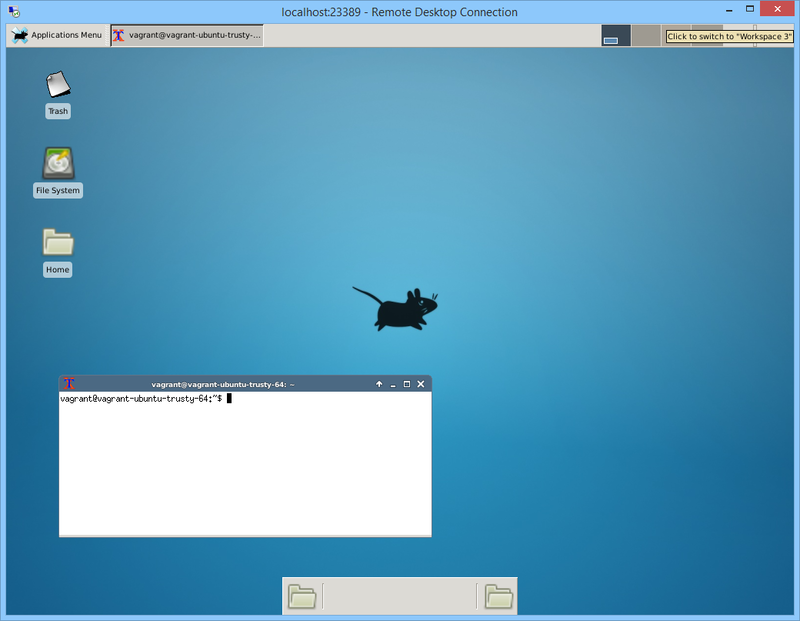 ubuntu-desktop and gnome-session-fallback will install a desktop environment, tightvncserver will install a VNC server and xrdp will install an RDP server that you can connect to with Remote Desktop (it uses the RDP protocol). Now we need to set up it all up. Now you should be able to connect to your server. 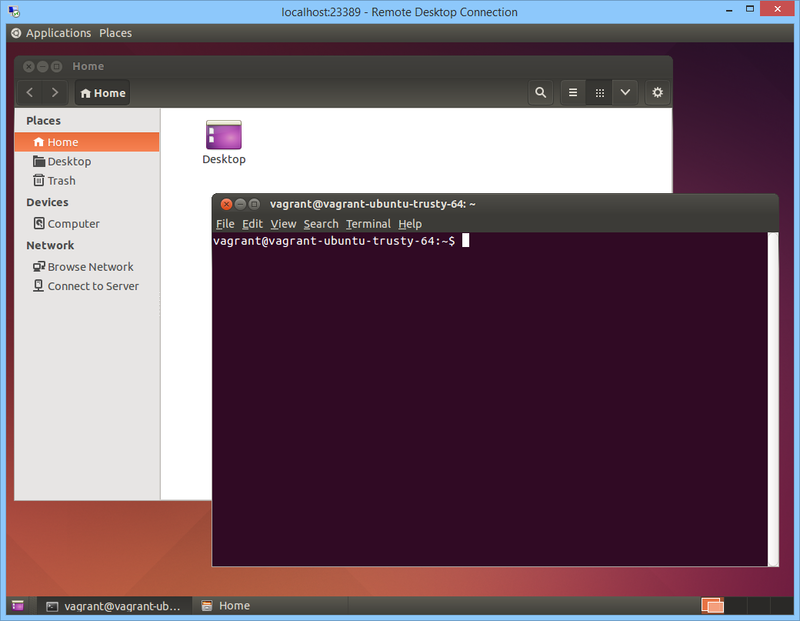 Ubuntu Desktop requires downloading about 500 MB of packages and an additional 2 GB of disk space. If that's too much, you can install a more lightweight desktop environment called Xfce. It's just 45 MB of packages that use an extra 175 MB of space. Only use this on a computer on a local network or in Vagrant, or secure the ports 5901 and 3389 in the firewall. By default anyone will be able to connect to the server via Remote Desktop and VNC is password protected with a very weak password. Tested with Ubuntu Server 14.04 LTS using Vagrant.